According to a BBC report, the number of adults seeking help with an alcoholic parent has tripled in the past five years. In this blog, we’ll look at how children of alcoholics are affected by parental drinking. What is it like to live with an alcoholic parent or carer while you’re growing up? What do you go through as an adult, if your mum or dad drinks too much in later life? At UKAT, we speak to relatives of alcoholics every day. Some come to us in desperation, not knowing what to do. Others come to us after decades of a parent’s drinking, searching the right alcohol treatment. We offer life-changing alcohol detox and rehab programmes. It’s never too late to get help with alcohol addiction. Whether an alcoholic parent or carer has been addicted for 5, 10, 20 or 30 years, recovery is possible. At any age or stage in life, alcohol recovery is worth having. 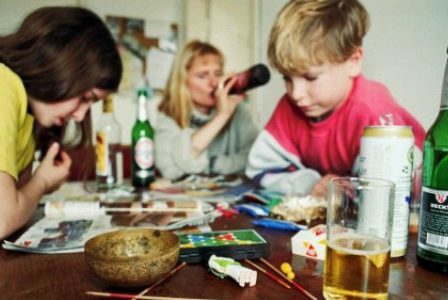 Children who grow up in alcoholic homes are particularly vulnerable to harm, including being at higher risk of developing an addiction themselves. Here are some of how children of alcoholic parents or carers are affected. As the dependent child of an alcoholic parent, your day-to-day experience is likely to be very up and down. One day, your home environment is calm or even happy. The next day, there is upset, an argument or uncertainty. Having an alcoholic parent can also affect children when they aren’t in their parent’s company. For example, not knowing how an alcoholic parent will be when you get home from school can lead to anxiety throughout the day. There might be times when your alcoholic parent is physically there and other times when they disappear for periods. This instability at home can be very traumatising to children and young people, particularly if their alcoholic parent doesn’t get any help for their addiction. Children with an alcoholic parent often describe changing the way they act around their mum or dad, to try and prevent problems at home. For example, if you grew up in an alcoholic home, you might have thought if you kept out of the way, then problems wouldn’t arise. Alternatively, if you were helpful to your mum around the house, then she wouldn’t drink and get angry. These kinds of experiences in childhood can have long term effects upon your health and wellbeing, often emerging in adulthood. You may have taken on too much responsibility as a child because one or both of your parents drank too much alcohol. This includes caring for other siblings or doing a lot of domestic duties like shopping, cooking and cleaning. Providing emotional support to an alcoholic parent is also a burden, particularly for children and young people. It may seem hopeless – like nothing you do or say makes any difference – and this can affect other significant relationships in your life. Children often feel they have to hide what’s going on in their family home when one or both parents are alcoholic. As a child, you might have been told by your parents or other relatives to keep quiet about what was happening. Alternatively, you felt ashamed of your parent’s drinking, and you didn’t want your school friends to know – so you never invited them round. In the worst cases, children with an alcoholic parent suffer very damaging neglect or harm – including sexual, physical or emotional abuse. If this is happening to you right now, or if you know a child who is suffering in an alcoholic home, then please get help. Children can call Child Line free on 0800 1111 to talk in confidence about parental drinking, including where there is neglect or abuse. 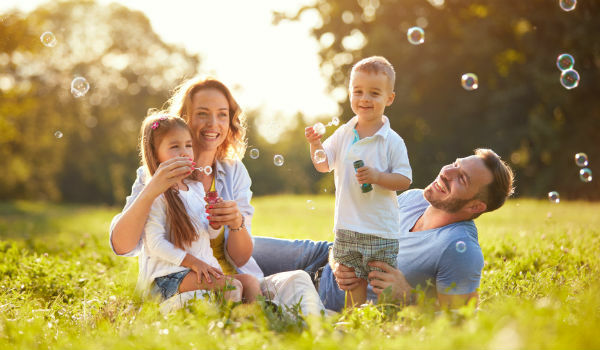 Adults with an alcoholic parent can experience all of the things that children with alcoholic parents experience – however, it’s likely to affect you in different ways. As an adult, you’re not usually dependent on your parent or carer for shelter, food, safety or nurture – so, you have some degree of separation from the situation. However, adults with an alcoholic parent can still be deeply emotionally affected by alcoholism in the family. Not knowing how to help your alcoholic mum or dad is worrying and upsetting. Getting calls from neighbours, friends or other relatives about problems connected to your mum or dad’s drinking might make you angry or sad. You might feel embarrassed about an alcoholic parent’s behaviour, whether they’ve been drinking or not. All relatives who care about an alcoholic parent suffer to some degree. It’s frightening to see someone you love in the grips of addiction. Please call UKAT if you want advice on alcohol treatment – including alcohol interventions, counselling, detox and rehab programmes.